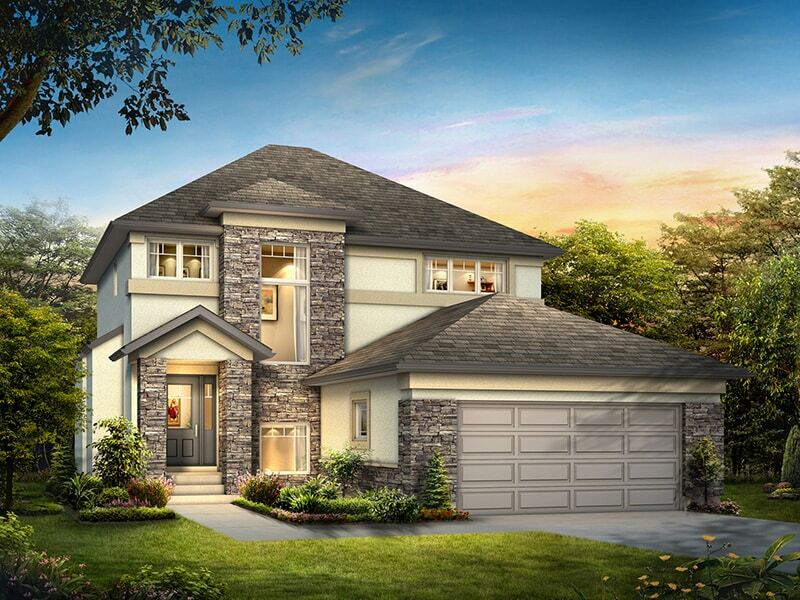 The Nottingham is a 2 Storey design with a soaring 18’ foyer accompanied with 9’ ceilings throughout the main floor. The grand entry with ceramic tile flooring complimented with maple hardwoods throughout the main floor is very welcoming in this 3-bedroom, 2 1/2 bath home. The kitchen features custom maple cabinetry a large granite island with raised bar and walk in pantry. The open concept layout is suited perfectly for entertaining with the dining room flowing into the great room featuring a built in entertainment unit and tiled fireplace. The master bedroom has a deluxe ensuite with a custom tiled glass shower, a 6ft jetted drop in tub, double vanity sinks and a large walk-in closet. The exterior of the home has a dominant front entrance with a triple car garage, double glass entrance doors, and an abundance of glistening stone.